Summer is the preferred season for traveling, so why not travel back in time to rediscover elegance and good taste. 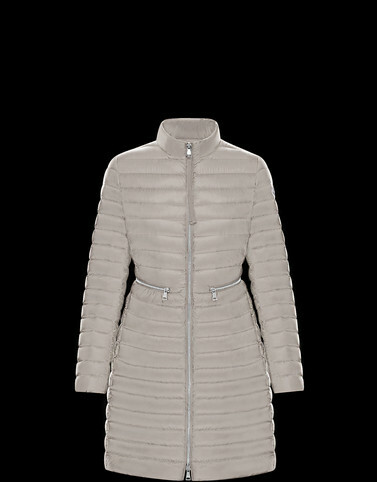 That’s exactly what the Agatelon does, inheriting the lines of a tailored coat and tying them to the present with the iconic quilting of Moncler’s sportswear and its meticulous attention to the drawcord waist silhouette that is finished with romantic gathering. Hand wash; Do not bleach; Do not tumble dry; Ironing maximum temperature 110°C - without steam; Dry cleaning in tetrachloroethene; Do not professionally wet clean; Dry flat; Wash separately; It is advisable to wash and iron the garment on reverse.